Did you see those window frames? Distinctive aren't they? They appear in some pictures I have of the Pyrene Laboratories and also the Press Shop. 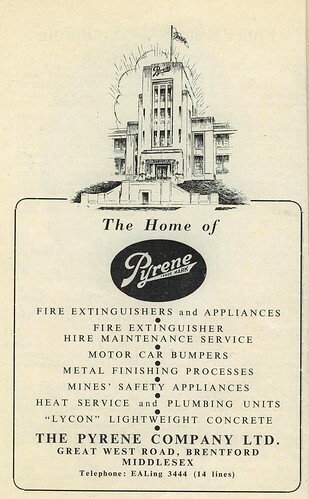 In the meantime, here is an advertisement from a Brentford and Chiswick Council publication dated 1949.